Beautiful color, a rich cranberry color, it is so soft and snuggly. We really enjoy it. Makes a nice bright spot in our bedroom. We let a small ribbon of that color show up when our bed is made. While it is snuggly and soft, is is also light weight. Superior is excited to present the velvety soft and extra fluffy all-season fleece blanket. Made of 100% premium Micro Polyester, this versatile blanket is light enough to use in spring, fall, or summer and is perfect for layering on cold nights. This ultra-soft knitted fabric is brushed and sheared on both sides to give it an elegant feel, velvety sheen, and silky touch for that luxurious comfort. This Fleece Blanket is available in four popular sizes; a king, full/queen, and twin to accommodate any bed size and throw size for cozy family time on the couch playing board games, watching TV, or just enjoy reading an interesting book. The knitted construction and thick density of this fleece blanket not only makes it wrinkle and fade resistant, anti-pill, and anti-static but also lightweight and breathable. The edges are finely stitched to give it a neat and smooth finish. The blanket comes in a variety of 12 different solid colors from neutral to bright shades to add an elegant accent to your living space. Machine wash in cold water and tumble dry on low or no heat setting. 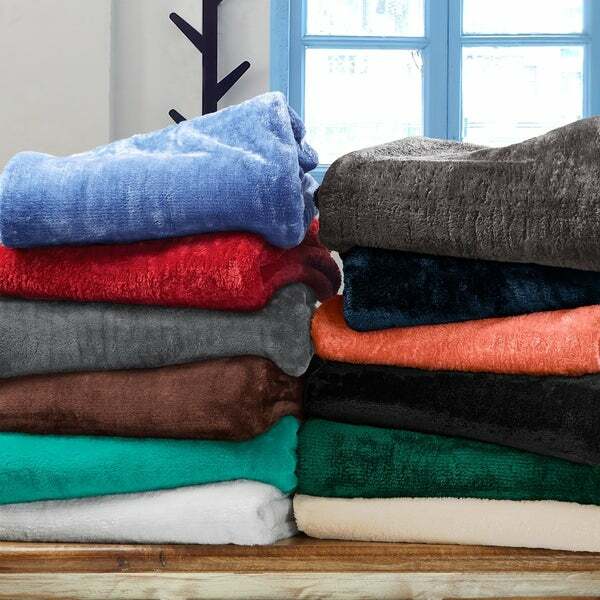 These ultra-soft fleece blankets and throws provide cozy warmth and snug comfort year-round, as a cozy addition to your bed, or the perfect throw blanket for the sofa. Please allow few hours after removal from packaging for item to attain its full plushness. Properties: fade resistant, anti-pill, anti-static, lightweight, breathable. Color options: Black, blue, chocolate, charcoal, coral, evergreen, ivory, navy blue, red, silver, turquoise, white. Care instructions: These beautiful blankets are colorfast and machine washable. For drying, tumble dry on low or no heat setting and remove them promptly from dryer. Do not Bleach, Dry Clean or Iron to maintain the color, elasticity, and strength of the fabric. Always follow care label instructions for best results. Bought the full/queen blanket in black for a college-age guy, and it is so soft and comfortable! It's a good weight without being heavy. He really likes it, and he could care less about home and bedding stuff. Have not washed it yet, but the instructions do say to hang dry. I'll probably ignore that and dry it on low and see what happens. I wash and dry all of our faux fur throws and down comforters, and as long as I don't use fabric softener, they're fine. Hoping this will be too, but if not, it wasn't expensive enough to cry over. In the meantime, it's great. I love these throws. I just place them in the washing machine and dry on low and they come up beautiful. They are very soft and comfortable. I have ordered two and will be ordering another one. I LOVE THIS BLANKET! Love love love it! When they say ulta-soft they are under stating it. This is the softest blanket I have ever had, and I have a faux fur throw! I cannot believe how warm and cosy yet lightweight this blanket is. I like to keep my bedroom cool for good, deep sleeping. It also saves $$ on the heating bill!! But I have severe arthritis and need to keep my joints warm. I cannot sleep under heavy quilts or blankets that push down, just to stay warm. This wonderful, ultra-soft, lightweight blanket solved my dilemma. Even on recent cold nights that my bedroom temperature was 50° I needed only a sheet and this superior blanket to stay comfortably warm! This is a must have for these colder winters and will make a much loved and appreciated Christmas Gift!! I am very happy with this purchase. It is a very warm. It is a pretty color. It is super soft. 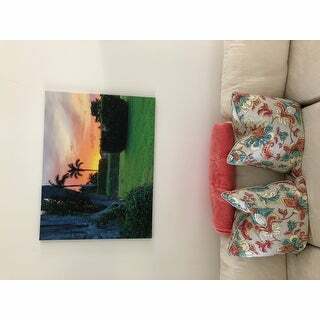 It is stitched well around the edges.This item is worth the purchase price. This ultra-soft fleece throw is perfect for those chilly nights! It is soft and warm and comes in an array of color choices. I will purchase another one in a different color. These ultra-soft plush fleece throw and blanket was a very good buy for the fall and winter for me I have Arthritis and sciatica pains. And I use my fleece throw to cover my legs and thighs to keep them warm at all times even when I 'am on my computer and when I 'am watching T.V. This is the SOFTEST blanket I have ever owned or felt! I LOVE IT! If you want soft, this is the blanket for you! They do RUN SMALL though. They are Extremely soft, LIKE A CLOUD! Not thick but still very warm. So SOFT, it may not be thick but it is still very good quality. SOFT LIKE A CLOUD!!!!. They may not be thick but they are VERY WARM! SOFT & WARM! I love it so much I'm ordering 3 more~ that should say everything. I ordered other so called "soft fleece blankets" and they were not that soft. Definitely worth returning and getting more of the this soft blanket. I can't say enough good things about it! If you love to snuggle up on the couch with a soft blanket, you will love this blanket! This blanket is one of the softest I have ever felt and I have a lot of blankets! I bought the king size and use it with our California king bed and it works just fine. This is a great value! I really hope it holds up. I purchased a hi-riser and trundle bed from Overstock, which worked out to be perfect. I had a 50" by 60" throw in navy faux fur that just covered the top of the hi-riser. I needed to cover both the hi-riser and trundle and metal frame. I took a chance with the King Size Navy Fleece Throw and Blanket. It covered everything, It was a perfect fit without overlapping! It even matched the navy faux fur throw, which I kept. Thank you Overstock. Color is exactly as pictured, and this throw is definitely soft. I really do like it. Nice weight, but not as thick as I expected. It pairs really well with the Palm Canyon Antigua Savanah Yellow comforter set I bought. It looks beautiful folded along the bottom of the bed. Ok. Not as thick as I had hoped. But it’s nice. Pretty color, nice and comfy. I bought this blanket for my son. He loves it because it is soft and furry. It does not look like velvety. The color of the throw we received does not look as pictured. We ordered ivory color however the actual color is light pink! Disappointed with the color representation. I gave it 2 stars though as the material is very soft and feels plush. This blanket is really soft and good quality! I got teal twin size. My little boy loves how soft it is! This was the perfect blanket for those cold winter nights. Now moving into spring/summer they will work great for chilly nights out on the lake. Super soft and the quality is outstanding! I like the throw, the only problem was it was smaller than I thought. It was probably my fault. Very warm for living in Midwest. The "superior ultra -soft plush fleece throw and blanket" is excellent quality and very soft and cozy to put over you are cross your lap, before you know it, dazzling out to sleep. Will order another one. "I bought a queen size mattress and box springs from you the mattress is supposed to be 14 inches in depth do I need a queen blanket or would I need a king I just don’t want it to hang on the floor"
"Is this blanket really silky and cool to the touch, or fluffy and soft?" "does blanket have a shedding problem?" I have several other blankets by Berkshire and they are the best. I need a nice blanket for my son's crib and thought this would be perfect...nice and soft, plenty big, and he can use it when the crib turns into a day bed.